Americans have always had a romantic notion about the frontier, how we arrived with our guns and honor, and settled the land in a fair fight. The passion extends to firearms themselves, which seem to possess a magic power to turn us into sharp-shooting heroes defending the homestead from any danger. But today our relationship with guns is in turmoil, as the bleak reality impinges on the myths we’ve come to hold dear. After the Autry National Center, a museum dedicated to the American West, was gifted a collection of some of the finest American firearms from the 19th century, the news broke of yet another mass shooting. Overnight, the ethical implications of showcasing and celebrating guns began to weigh heavy on the museum’s curators. Richardson explains that as he and his team at the Los Angeles museum were preparing this new show of opulent Western guns last December, a shooter murdered 20 children and six adults at Sandy Hook Elementary School in Newtown, Connecticut, before taking his own life. It’s true that the history of United States is inextricably entwined with the history of gun manufacturing. And perhaps that’s why the fervor for unrestricted gun rights never dies down, even when chaos breaks out. Without firearms and the determined settlers carrying them, this country would be a fraction of its size, never realizing what we called the Manifest Destiny to span the American continent coast to coast. But the real history of the Old West is far less noble and clear-cut than the legends we hold in our collective imagination. In the early days of the United States, when the country was comprised of 13 states hugging the East Coast, the West seemed a boundless source of possibility and hope. Any man who wanted a new life could pack up his family and strike out westward in a covered wagon. Bringing an American longrifle, also known as a Kentucky rifle, used for hunting and self-defense, was simply a necessity. 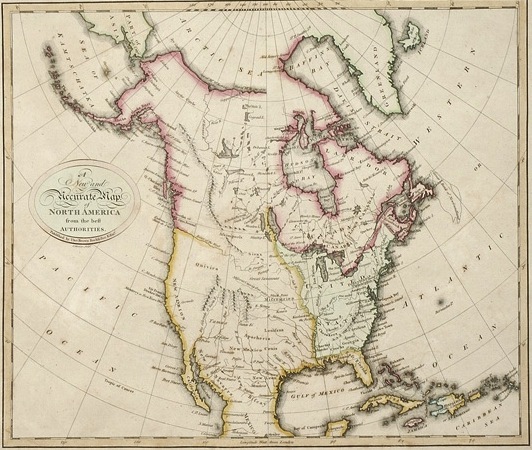 At first, the frontier was anything west of the Appalachian Mountains. By the beginning of the Civil War in 1861, the West had been pushed to the other side of the Mississippi River. With the help of the Transcontinental Railroad opened in 1869, civilization swallowed up the last of the American frontier by 1890, just 25 short years after the end of the war. It was the Old West’s last hurrah. In the early days, those American rifles, which had to be packed with gunpowder and ammunition through the muzzle for every shot, had nothing on the number of arrows a Native American warrior could shoot at a hapless homesteader in a short amount of time. But in the end, white settlers defeated everyone who laid claim to that land, be it Native Americans or Mexican vaqueros, thanks to rapid advances in American gun technology in the 1800s. While the rough-and-tumble Westerners had no love for the elite industrialists of the East Coast, ironically, it was those companies and their precision manufacturing that gave the white settlers the upper hand in the 1800s, as they revolutionized gun technology between 1830 and 1870. Certain Native American tribes had access to firearms—which they would also use to lord over enemy tribes—but the white man got the lightest, fastest, and most accurate guns first. Samuel Colt patented his design for a repeating, revolving-cylinder in 1836. 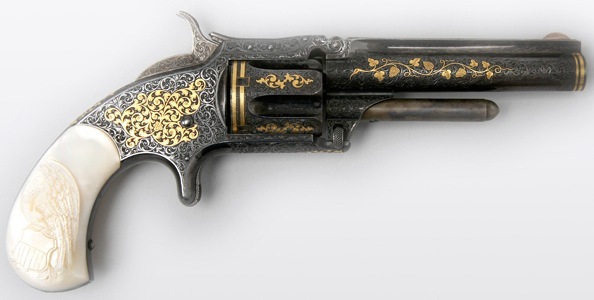 His wasn’t the first revolver—in fact, he simply improved upon Elisha Collier’s 1814 flintlock revolver. Colt’s game-changing innovation was making every part of a handgun by machine, so each piece of a revolver was uniform and interchangeable with any other gun of that same model. But Colt’s Patent Fire Arms Manufacturing Company, based in Hartford, Connecticut, didn’t rely on machines alone. 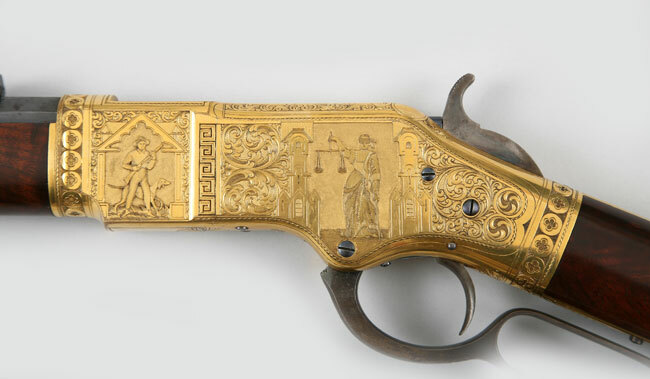 In the early 1850s, Colt brought in a stable of brilliant artisans, metal workers and engravers, who could personalize any Colt firearm, making it a unique work of art. However, that title is a matter of dispute. After all, handguns, like revolvers, are only effective at a close range. 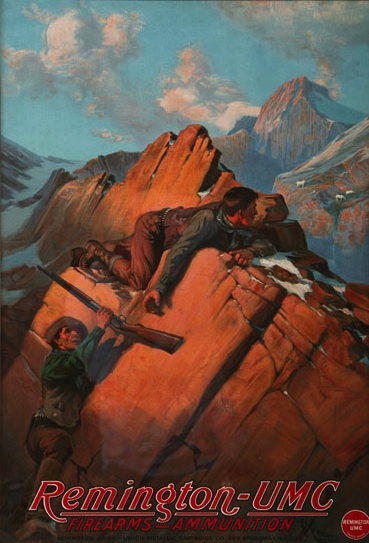 Long arms, such as rifles, were more important on the frontier, because they can hit a target from a distance. 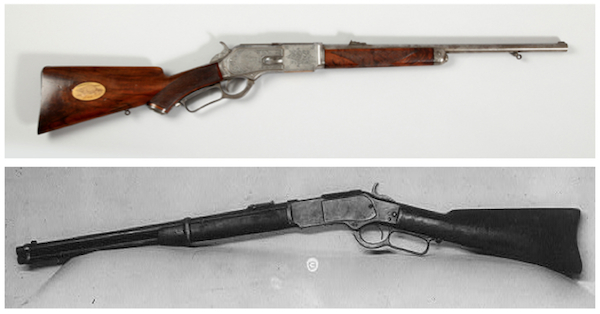 While Christian Sharps developed a successful single-shot breech-loading long arm in 1848, many inventors were attempting to make “repeating” or multi-shot long arms as well, but most of these early models failed in the market. In the 1850s, Smith and Wesson tinkered with a repeating rifle that had first been patented by Walter Hunt in 1849 and then improved upon by Lewis Jennings. Wesson and Smith first established the Volcanic Repeating Arms company in 1855, but their less-than-successful endeavor was quickly taken over by an investor named Oliver Winchester, who forced the founders out in 1856 and relocated to New Haven, Connecticut. As Smith and Wesson went on to build their own successful namesake revolver company, Winchester charged plant foreman Benjamin Henry with perfecting the repeating rifle. Winchester’s New Haven Arms Company produced the first Henry rifle in 1860, which was so popular with the Union Army during the Civil War that soldiers, who were never officially issued those guns, would buy them with their own money. 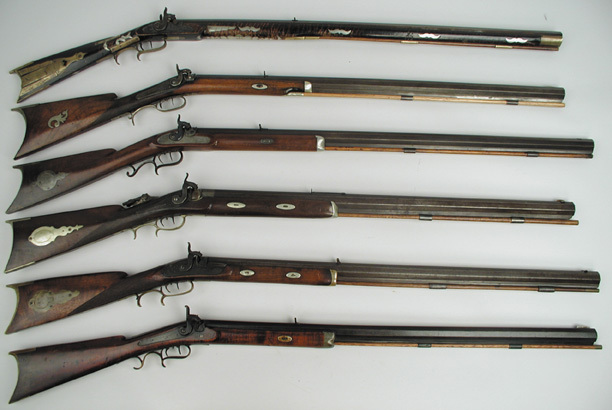 The Union soldiers were also sometimes armed with repeating rifles developed by Christian Spencer. 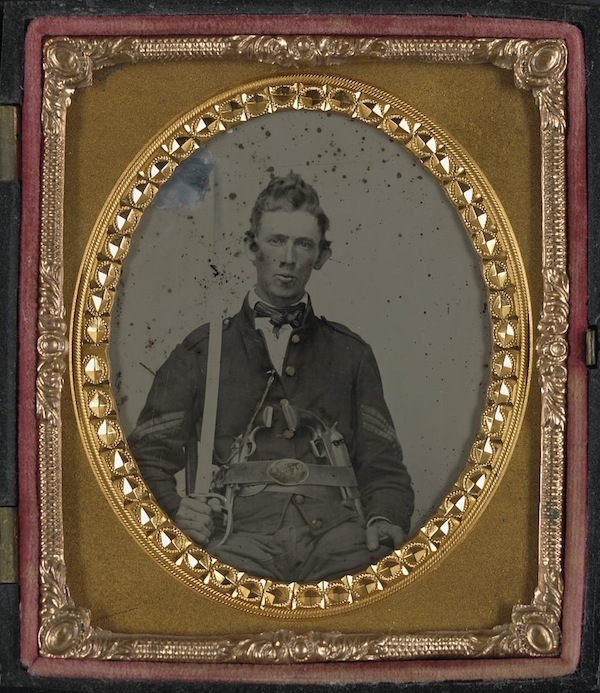 Confederate soldiers, who were still using muzzle-loading single-shot weapons, were stunned. But the buffalo weren’t the only ones that were suffering at the hands of new weapons. 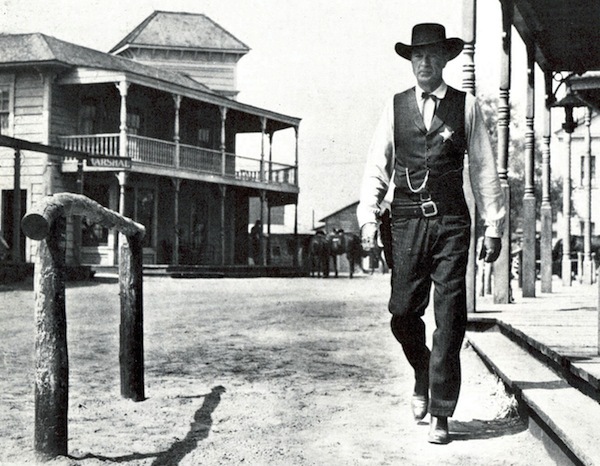 “The better the weaponry, the more people started dying,” Bell says, although never in the sort of rule-abiding shootouts seen in Hollywood Westerns, such as “High Noon” or countless John Wayne films. Hearing that, you’d think that people living in the West survived bloody horrors every day, living in a state of post-trauma shock where they constantly had to watch their backs. But the truth is, if you weren’t in the wrong place at the wrong time, you could go decades without witnessing violence in West. Historians continue to debate how “wild” the Wild West actually was, Richardson says. 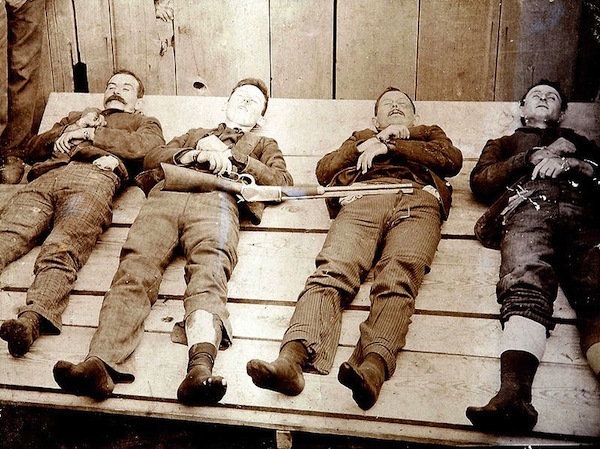 Most towns were not as lawless as they were portrayed, while others, like Dodge City, Kansas, and Tombstone, Arizona, went through extraordinarily violent periods. And because some of the guns from the 1800s are so aesthetically pleasing, it’s easy to forget their capacity for devastation. Like Colt, Winchester also offered a wide variety of ways to have your gun embellished and personalized. 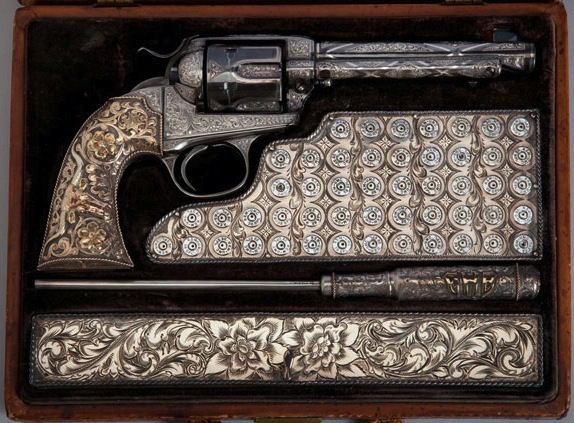 The most opulent guns were rarely used; they often became status symbols for wealthy ranchers and entrepreneurs, who passed them down as prized family heirlooms. “A common individual, be it a typical settler or a typical law enforcement officer, would’ve carried a very basic gun,” Richardson says. “All of the examples in the ‘Western Frontiers’ exhibition are superior, exceptional examples of their type, beautifully engraved, in excellent condition, owned by historic individuals. We have examples that are gold-plated or silver-plated, with ivory or mother-of-pearl grips, gold inlay, inscriptions, and engraving. Also, during the frontier days, the U.S. government would send marshals to keep law and order in towns springing up in the West, who may or may not have gotten along with the locally appointed sheriff. Making things even more complicated, the local lawmen might own a controlling interest in the mines nearby or the town’s gambling hall. Well-known outlaws like Jesse James and Billy the Kid were protected by impoverished locals, who benefited from the bounty the criminals pilfered. “As long as they had local protection, they could act almost with impunity,” Bell says. “Southerners hated the Yankees. When the James brothers were robbing trains and banks, most people in Missouri, and certainly the South, didn’t have any love for the banks, so they didn’t care. Cowboys and ranchers, as it turned out, could be just as much of a menace. Traditionally, ranchers grazed their cattle on the open range, and before settlement, the West had plenty of it. Post Civil War, the demand for beef was growing on the East Coast, where ranchers could get $40 a head for cattle (as opposed to $4 in the West). Ranchers from Texas, for example, would hire cowboys to drive their cattle to the railhead at Dodge City, Kansas, where they would be shipped back East. But homesteading acts and the Transcontinental Railroad brought more and more settlers, who established farms and put up barbed wire fences right across cattle trails. When competitive ranchers saw how much this hurt rival cattlemen, they’d erect fences everywhere, even on public land. Angry cowboys cut every fence they encountered, set the posts on fire, or organized vigilante posses to retaliate against their enemies with violence. And every cattleman had it in for the shepherds, whose flocks destroyed good grasslands. Yes, most violence in the West was about money, and explicitly competing business interests. Even the most famous gunfight, the shootout at the O.K. Corral in Tombstone, Arizona, had its roots in business: the Earp family, the town’s lawmen, had mining-interest disputes with the ranching Clanton and McLaury families. And over time, resentments simmered in myriad ways. 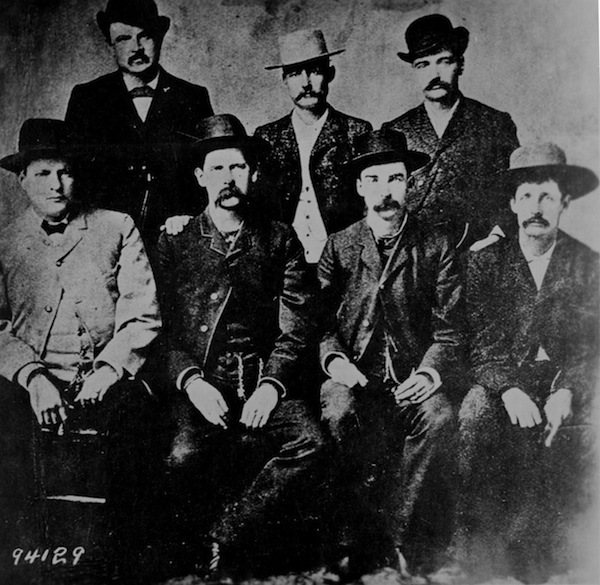 The Clantons (from Texas) and McLaurys (from Iowa) identified as Southerners, while the Earps and the townspeople (from Iowa), identified as Northerners. That’s right, the West had gun control. In the early days, the Western towns were largely populated with rowdy young men working as miners or cowboys. But as more white families flooded into the West, people started to be concerned about safety. 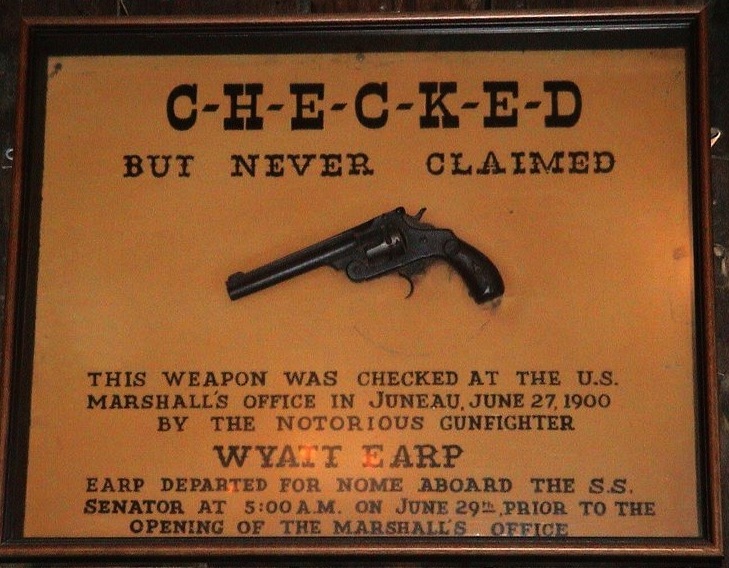 Starting in the 1880s, many of these towns started to post gun-control ordinances that required anyone coming into town to check their guns at the local law-enforcement office or the hotel. “As they became civilized and people brought their wives and families out, they didn’t want a lot of gunplay,” Bell says. Of course, outlaws completely disregarded those laws. The 1890 U.S. Census revealed that the West was too well-populated with American citizens to be considered the frontier anymore. Idaho and Wyoming territories became states that year; only Utah, Oklahoma, New Mexico, and Arizona territories remained. But pop culture, in the form of traveling vaudeville shows, had already begun to mythologize the Wild West. In fact, a writer named Ned Buntline produced one of the first Western dramas, “Scouts of the Prairie,” in 1872, based on the life of and starting bison hunter, “Buffalo” Bill Cody. Cody went on to launch his own circus-like traveling show, “Buffalo Bill’s Wild West,” in 1883. “As America started to move away from that frontier past, nostalgia built up and people wanted to see it before it disappeared,” Richardson says. “For individuals on the East Coast, one way for them to do that was to go to a Wild West show, which was packaged as a historical re-creation, as fact. Of course, certain things were embellished for the sake of drama and adventure. Then film and television followed upon those myths. People first saw Westerns at the movies. They just assumed that this has to be exactly like it was. And the same thing occurred with television. The simpler the Wild West tropes got, the more damage they did to American culture. In the 1950s, mothers began to complain about all the violence in TV westerns, so the studios responded by toning it down. The honorable hero would shoot the gun out of his enemy’s hand and win a gunfight without hurting anyone. Still, our frontier roots mean that Americans may never give up the idea that we’re all gun-wielding cowboys who can make it on our own in the wild. West” — i.e., the Dalton Gang, Wyatt Earp, Bat Masterson, etc. But there are other reasons why Americans love guns: Liberty and protection from government tyranny! This article misses a few things. The Europeans who came to America were aggressive people. The people in Europe who were content, or who didn’t want to change their situation, stayed. The people who were aggressive risk-takers came here. They knew they would face violence here, and so the only people who came here were the ones willing to do that. We selected the most aggressive and, yes, violent people from Europe to be the founding population of America. That’s a huge factor. The other factor which no one talks about is America’s history of violent racial conflict. Usually when you have two different ethnic groups sharing the same territory, the interactions are unhappy, often violent. America is no exception. Europe and the peaceful countries in Asia (Japan, Korea) have none of this conflict. America has a lot more problems than Europe because we don’t have the same demographics as Europe. I promise you, as Europe is now vigorously importing violent third world immigrants, who care exploding the crime rate there, Europeans will soon enough discover a love for guns and CCWs. I don’t get the gun fetish at all. If it’s in essence a Hollywood inspired form of nostalgia, then why don’t we have a “horse fetish”, or “butter churn fetish”? After many years of wondering about guns, I’ve pretty much concluded that Americans are just grown up kids, and they just like their toys in the same fashion they like HumVees, Dirt Bikes and other ‘big kid toys’. Interesting, but the notion that the US Army’s rules of engagement in Vietnam were driven by concern for America’s Mom’s or the rules of the Old West is laughable. Do a little googling, please. The photos are a treat but I have a few quibbles with the writer’s thought process. To walk down a single path, the cowboy mythos, to explain the love of guns is a bit off-putting. My love of guns comes from being taught at age ten the care and handling of guns by my father, an officer in the US Army. At one time in his military career he had been a Military Policeman and had trained in martial arts, self defense and situational awareness. He did his best to pass this on to me and one of the most memorable things was his gun training. He did not hunt. Many people derive their love of guns from this same fount. Childhood memories of a father teaching a son or daughter to hunt with the concomitant gun training necessary. As to the Old West, I’m a Texan and I think I have a clear idea of how to separate the sheep from the goats when it comes to things “western”. We do have schools and universities here and writers and researchers on the subject who are widely read. Perhaps the idea of the gun as an icon rather than a tool is not as widespread as you posit. This article’s premise seems to rely heavily on some weird assumption that most Americans are unable to differentiate between the real history of our nation and the fiction of Buffalo Bill, Annie Oakley, pulp novels, and TV Westerns. The author should have spent more time proving her theory of widespread romanticism being central to gun culture rather than rehashing American history we learned about as children in middle shool. If anything, the Americans that hate guns rely on the romanticised version of the Wild West to bolster their claims that private gun ownership is a threat to society, completely contrary to her claim that it is why all Americans love guns. America is country formed by revolutionaries who achieved their ends with guns. This mindset has never changed; all problems can be solved with a gun. Firearms are a symbol of freedom from oppression for Americans. It is not the west that fostered this. It is the Revolutionary War, being able to provide for self and family, etc… The idea of self sufficiency and responsibility that drive the culture. It is not the tool but what it represents and what it enables. You do not have to wait until after a crime to get protection. You can provide in a very primitive sense, for your family and community, that you are an adult, responsible and can stand on your own. The warrior creed may play into a portion of this but it is the similar to many cultures right of passage to adulthood. That is the symbology of the firearm. Self sufficiency in life. A symbol of honor, discipline and courage. To master this tool requires concentration, discipline and fortitude. And above all freedom from those who feel the need to control or dictate how others should live. Except that firearms are not “unique”. Museums have crossbows, bows, atl-atls, swords, spears, maces, halberds, daggers and all sorts of other weapons. The discussion of Frontier Influence on the Modern Mind will inevitably become the wider focus as the socially minded citizen continues this evolving experiment. Considering the forum in which we find this article it is appropriate. As a Kiowa raised with those stories of fighting Spaniards, cowboys, and pretty much everybody, this sense of hanging on the old ways remains. Aho Lisa! because there’s an industry-sponsored lobby that’s making a lot of effort and spending a lot in order to make them a mix of cultural icon + cult, and ensure high sales, whatever the cost in human lives and suffering ? Many ship loads of different kinds of people from all countries came to America while fleeing from oppression, proverty, as well as adventure from all directions around the world. Today all freedoms America once had has this country under the same and worse oppression than what our ancestors excaped from. There are good and bad standing on every corner .. As in the past guns aren`t to blame for what has happened it is people that kill people. 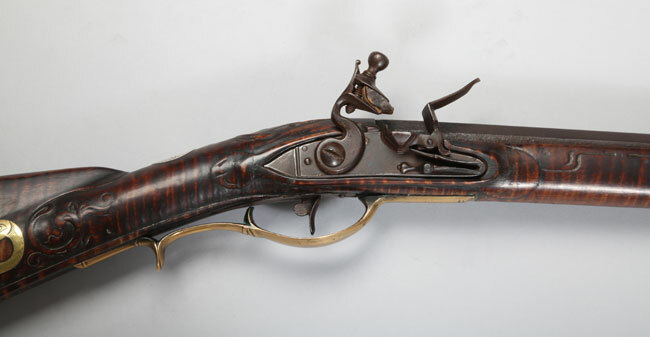 The history of guns and its place in history is wonderful. I’ve never understood the anti-gun notion. People have different interests. Why can’t that be understood? Most gun owners are law-abiding citizens that never hurt anyone. There’s a lot of things that can be done with guns, and enjoyed. Hunting (for sport and survival), entertainment (see: Wild West Show), trap/target shooting, and many even like to collect guns. Ron B. Really sums this up well. Americans have a cultural predisposition to simplicity. i.e. we don’t hate paying taxes, we hate the nagging suspicion that we are paying more than we should, and that others are exploiting the complexity to not pay what they should. Guns are just another form of simplicity. Contrary to a popular saying, violence solves LOTS of things quickly and with simple rules, and guns level that playing field. Americans are really blind to nearly everything that dont fit the echo chamber. But it will not stop there the bad guys will be bad guys and will figure out how to use chemical and biological weapons exploding bullets and M203 40 mm grenade launcher just a matter of time. Air power against cop cars in crime. It will all keep escalating and you aint seen nothing till very smart people print their own 3d inventions. They are not going to take your wallet or your phone they are going to make you use it to log on to your bank account and transfer everything you got. Wait till a bad recession depression comes because of a stupid political party and most of the safety net is destroyed. Then the cops are scared and the army does try to take the guns. The 2 acr disarmed the republican guard in 2 days how long you? On the other hand I totally agree with Alice Venables, but I think she was lucky to be taught by her father to respet both people and arms. unfortunately not everybody has that approachment to arms. By the way, can anybody tell me when did the first massive shooting happened in the US? The Viet-Nam war was run / controlled / mishandled by the World War I and World War II generations, not by the teenagers who were conscripted to fight in it. Life on a small farm today teaches that guns did more in rural America than fight or hunt. Varmints are a big problem now, and were a bigger problem then. Urban Americans have no concept of shooting a coyote that is going for the recently born calves or other vulnerable farm animals. Wolves no longer run in packs, but they once attacked and killed children. One cannot be without a gun on such a farm. It would be death. A males desire for a gun is based simply on a desire for power. It is most common among those males who basically never matured past their teen years. Men who are educated or wise know that real power comes from knowledge and accomplishments. BrainFromArous asks whether my October 6 comment, to the effect that immature males love of guns is based on a desire for power, is due to my ignorance or arrogance, or both. The answer, of course, is that it may well be based on both. In this case, I like to think that the main basis for my opinion is due to my personal experience with guns and males who are attracted to them. However, the only relevant question is: is my comment correct? BrainFromArous avoids answering that question, and instead chooses to make an irrelevant personal criticism. If he does choose to answer it, he likewise will have to admit his ignorance and arrogance, but the important thing will not be the extent of his ignorance or arrogance, but what is his answer to the comment? It’s interesting to me as someone who trains many new and newer shooters in defensive firearms techniques, (mostly women lately btw) that I’ve never ONCE in all that time heard a student being nostalgic about the “Old West.” I’ve never once heard a student ask about Wyatt Earp or Bill Hickock, even though we do talk a little about the history of firearms. The only people I ever hear talking about “the old west” in relation to guns are those who are convinced we should outlaw guns. Lisa, although this article is well written some of the sweeping generalizations wound me as a human being. The references to the “unsettled west” and “Where there isn’t law, you’re going to have gangs of roaming marauders that are looking for plunder. The criminal element was here hundreds of years before the Wild West even” as if the Native Americans had no law and were not legitimately here well before white aggression. And the “Then you add all the Native American tribes already here, including the most vicious warriors on the face of the earth, the Apaches and the Comanches, and you got a recipe for fighting” as if the native people already living here were some kind of boogeymen. If you wanted to be more factual you could have included information on how natives were disarmed by the government and not allowed to hunt to feed themselves. Slaughtered repeatedly after being disarmed inside their reservations. The improvement of the rifle allowed for the wholesale slaughter of millions of bison and helped destroy the native way of life. I want to apologize to you for hurting you as a human being. That was not might intention, and I am grateful for your post pointing these facts out. I wrote this piece with the assumption that most people are now aware that white European colonists, and later Americans, felt entitled to land that did not belong to them and committed genocide to get it. But I realize now that I should have made that more explicit. My desire was to talk about the fantasy of “unsettled” land, which of course, led to the genocide—along with the idea that people who were not a part of white culture around the world were subhuman “savages” to be tamed, which I talk about in my other piece on missionaries. I wanted to explore how this idea of “settling” on “free land” hinged very much on this white American ideal of individuals owning property—which, as far I as understand, was not a part of many Native American cultures, if any—and how that led to taking up a gun to protect this staked property, even if the people coming at you had a rightful claim to the land. To me, the lawlessness remark was more about places that are not densely populated being harder to patrol. Of course, I’ve heard that the continent was much densely populated before the explorers arrived and brought the plague with them, which devastated native communities throughout North and South America. I agree with you about the word “vicious,” so I took it out. I hoped to convey through that quote that the Apaches and Comanches were able to hold their own in terms of fighting battles to stand up for their tribes and their territories. But “vicious” implies “unnecessary cruel” as opposed to proud warriors you should not cross. I also appreciate the reminder of how the loss of the bison wreaked havoc on the native way of life, particular for the nomadic hunting tribes. 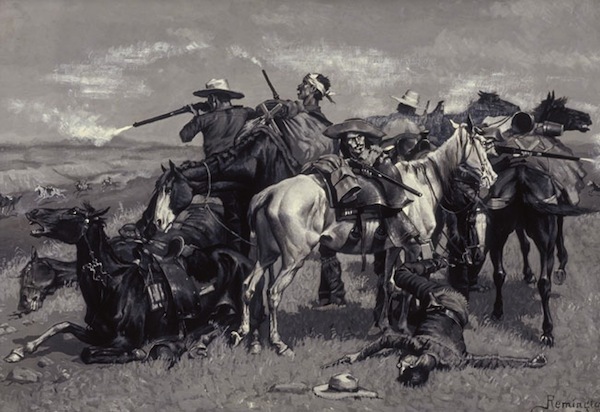 Largely, I wanted to convey that none of the people who “won the west” with guns were saintly heroes, as they are often depicted in cowboy movies. As Jeffrey Richardson told me, the word even “winning” implies that someone lost, in this case, through an endless campaign of violence against the people who were there first. Thank you again for your enlightening post. I never finished college so technically I am not an educated man but this comment was troubling to me: “When a group mentality took hold and vigilante justice would be forced upon individuals,” Richardson says, “it was usually to keep minorities down.” I see no connection to outlaws coming into town and keeping minorities down, I would be happy to retract this statement if the author could produce some factual data rather than this silly statement. I am in no way condoning vigilante justice and recognize that innocent peeople were hanged; I am simply challenging how the author went from a group of armed citizens out to protect the town from outlaws to discriminating against minorities. There are a few things I think are important to call out. Alcohol was a factor in violence then, and it is a factor today; the article seems to point at an increase in gun violence in saloons. 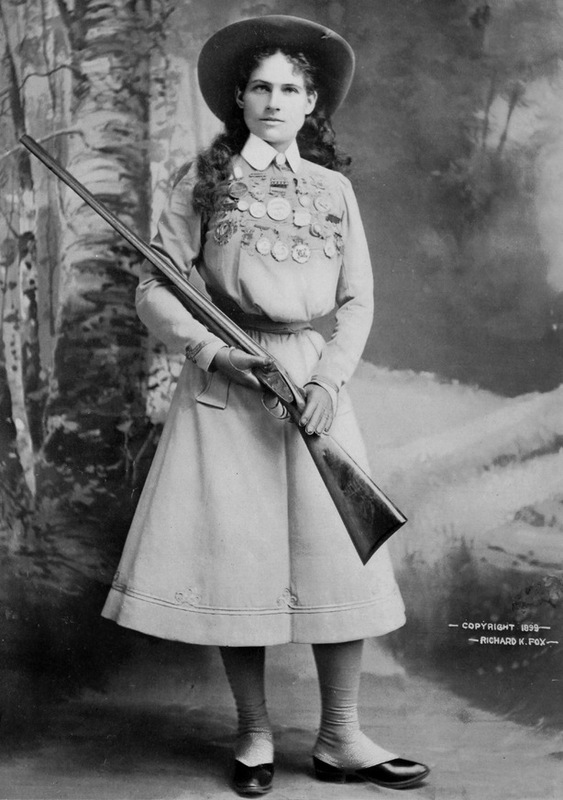 A gun in the 1800’s was the equivilant of a computer today; an angry grizzly bear cannot be reasoned with and without a gun, you were powerless to control your own destiny. Outlaws have been around since the beginning of time and they do not fight fair and are not moral people. A threat to your life can come from nature or a man; either way a gun was the ONLY way to protect your family as you were on your own in the wilderness. It is for this reason I respectfully disagree with Portland Oregon; here is why. If we are educated, learned, and wise men/women that means we are capable of reason. We are only able to reason with reasonable people; being able to reason does not require education, it simply means you lend yourself to reasonable thought. There are some people who do not have compassion for their fellow man, they lack values, and they lack a strong character; these people are not capable of reason. Individuals and groups like this only understand one thing and that is strength; a gun in the hands of the weak gives them the strength to stand up to the unreasonable element in society. Whether the threat is a bear or a man, having a gun does not mean you are on a power trip. It means you ARE educated and wise enough to realize there are certain elements that cannot be defeated through reason or bargaining. The article was very specific, there were bad people in the 1800’s as the West was being settled; most of these bad people were not capable of reasoning. There are bad people today and it is naive to think being educated would allow you the power to control an unreasonable person bent on harming you or your family. As I heard in a movie one time, you can get farther with a kind word and a gun than just a kind word. It is for this reason that I make this closing comment; I would rather HAVE a gun and NOT need it, than NEED a gun and not have it. Thank you for your thoughtful response. I do agree that people may know that the land we all live on was once Indian land. I had too recently reread “Bury My Heart at Wounded Knee” and this likely made what should have been light reading of an article a bitter pill to swallow. One would think that true American history is taught in school these days but much of the less savory events are glossed over. Without mentioning the Southern tradition, that white men must all have guns in white-minority areas lest the slaves rise up, as they periodically did, this article is awfully incomplete. I love guns for the simple reason that I lived through an earthquake. The phones where out, the electricity was out, and even if you called for help no one would answer. Anyone could throw a brick through your window, shoot your dog, and then you. Guns make it possible for a 5’5″ 120 pound woman to level the playing field when confronted by a man a several inches taller and 100 pounds heavier. That’s all – oh, and they have saved a lot of lives. Gun deaths in the USA are much lower than they are in countries that have strict gun controls – and that is a fact. The title of your article is “Why Americans Love Guns”. The only answer you give is because of the romantic and factually incorrect notion of the gun’s role in the old west. This is exactly the same as saying that the only reason Americans love cars is because of the romantic notion of independence and mobility brought about by automobiles in the mid 20th century. Sorry, but you are simply WRONG. Your entertaining history of guns in the old west, while appropriate for this Collector’s forum, ignores the REAL reasons (note the plural there) many Americans today, who are no less intelligent or American than you, own guns. If the owner of this site would like a balanced, reasoned, and RESEARCHED article on Why Americans Love (and collect) Guns there is no shortage of authors to provide it, including me. I’ll be your Huckleberry. Not a Dragoon and an 1860 Army Colt. Joes comment about Europe and Asia being peaceful displays willful ignorance of the 20th Century. This century saw the largest series of conflicts in history throughout Europe and Asia and to a large extent this conflict has driven the movement to disarmament and to peace. Someone asked when the first mass shooting occurred in America. I do not know when but it surely could have happened as soon as the shooter got word he could find an area where a criminal would be the only one in the crowd with a firearm. Chicago has become the ideal city where a criminal can finally go about his business without having to look over his shoulder worrying about some idiot that actually wanted to protect himself. The people that are working at disarming us are not stupid, evil yes, gun laws create gun crimes which help them to create more laws which in turn create… well I’m sure the smart ones can figure the rest out and the ones that disagree can go on helping the lawmakers. If you want peace and trust in your town guns are the solution, not the problem. Most of those guns listed as “Kentucky” are actually half-stock or plains rifles aside from the top one, and by no means was the Kentucky rifle the first gun of the frontier. Smoothbore muskets would have been the most common for a very long time. 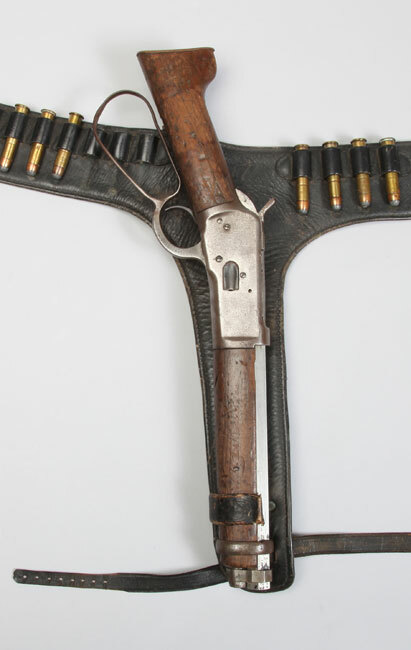 Kentucky rifles are just one of the most iconic frontier guns. As time passes, the wolves etc. are not at the farmer’s door, but at the urban dweller’s door as criminals. Why should either be denied the right to defend themselves, family & property. It’s obvious that the laws & police can’t. Has any criminal surrendered his guns because of a gun law? Only the law abiding will. When your life is threatened, it takes 3 finger motions to dial 911 & a long wait if you go that route. If you have a gun, it only takes 1 finger motion & there is no wait. You can decide your route, but I know which one I will take before many have decided. I hesitated once & got shot. Lesson: Don’t hesitate! (It hurts!). Think of the time & expense you save the government. I think gun control advocates should be hanged. LOL! I haven’t lived in the States for 46 yrs. & have seen 1st hand what irresponsible guns create. I saw a bumper sticker once in FL that read, “WHEN GUNS ARE OUTLAWED-ONLY OUTLAWS WILL HAVE GUNS. As an antique gun collector, I thought that was a bit too much. After living where guns are outlawed, I think about that sticker and think, oh so true! 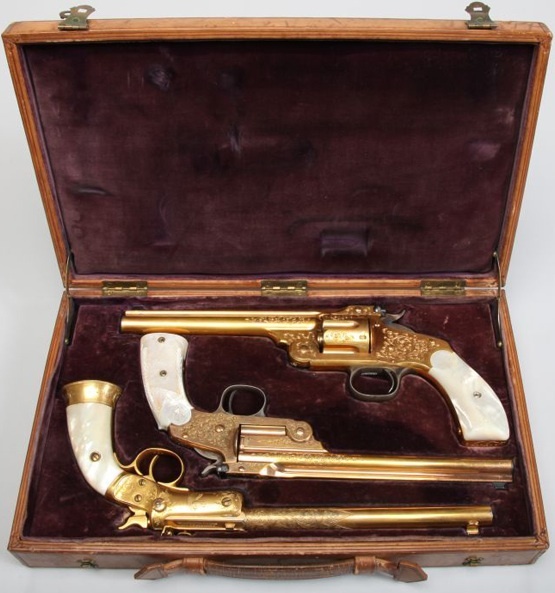 Great article and really enjoyed it, since I am into collecting antique guns. Keep up the good work. “ ” A pipe fundamentally is piece of wood with a hole and a mouthpiece stuck in it. But you are talking about an object that, when well-made, can last a hundred years.